Usually a "tea" is a hot beverage, right? No? Well, ok there's ice-tea, but even the coolest of all teas is initially brewed with hot, sometimes almost boiling water. 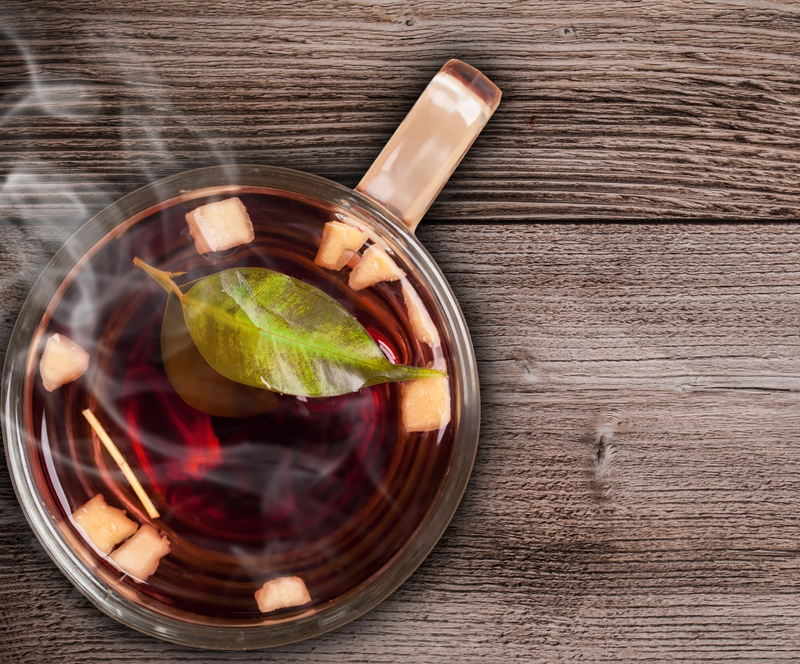 A practice of which a recent study from the Universidade Tecnológica Federal do Paraná in Brazil suggests that it may actually impair some of the beneficial effects of Baldo, White, Black and Mate tea. How come? Well, in the study Vanessa de Carvalho Rodrigue, et al. conducted, it made a huge difference in terms of the total phenol and flavenoid content of the extracts (=the aformentioned teas) when the scientists used cold water instead of water that was 80°C "hot". Milk, Tea & Honey Don't Mix?! Theacrine or Caffeine for Brain Power? Will Drinking Tea Solve Your Sugar Problem? During the hot extraction procedure, a total of 2.0 g of the sample was extracted with 100 mL of water distilled at 80 °C. In contrast to how you would do it at home, though, the extraction process was propelled by stirring the glass for 450s (7:30 min). A similar procedure was used for the cold extract. The only differences were that (a) the extraction was done with 20 ml cold water and only 0.5 g of tea and (b) took 120 minutes during which the infusion was kept still, at room temperature (20–25 °C), and was stirred manually every 30 min (Damiani et al., 2014). All extracts were filtered, transferred to Falcon tubes and immediately frozen at −20 °C (dark) for later analysis in order to prevent oxidation by light and oxygen. Figure 1: Total phenol & flavenoid content tea after extraction with hot or cold water (de Carvalho Rodrigues. 2015). The analysis yielded interesting results, because in contrast to what you may have expected not all hot water or extracts were inferior to their cold water counterparts. In the teas with generally lower phenol and flavenol intake, using the hot water to extract the active ingredients lead to significant (lemon grass and carqueja) increases of the total phenol and flavenoid content of the extracts. What matters more than phenol and flavenol numbers, though, are (a - primarily) the antioxidant activity of the their sum (see Figure 2) and (b - secondarily) the presence of specific bioactive compounds like theobromine, chlorogenic acid or even caffeine (see Table 1). "What now? 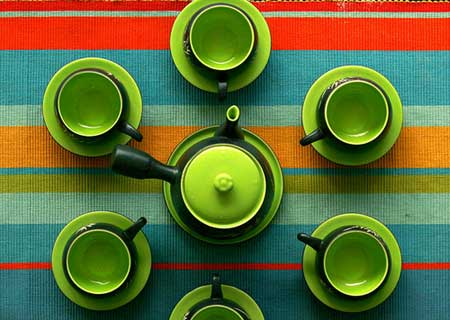 May I drink tea or not? Recently you wrote it's bad for the thyroid!" What I wrote is that large amounts of green tea are bad for the thyroid and I stick to that. This does not mean, though that drinking 1-2 small cups of tea everyday cannot have any of the often-hailed beneficial effects on your metabolic and cardiovascular health. I thought we were beyond this type of black-and-white thinking. Things are rarely only "good" or "bad" and what's healthy and beneficial in small doses may just as well be bad for you in large ones. Interestingly, significant differences were seen for the the often-tested DPPH+ (diphenylpicrylhydrazyl) radical scavenging activity only for Carqueja, Lemongrass and Mate (see Figure 2, left), and no significant effects were observed for the content of any of the bioactive agents. With the latter, the content varied, albeit not systematically and not with statistical significance. Figure 2: Total antioxidant activity of the hot and cold extracts from various teas according to DPPH+ and TROLOX assays; sign. effects were observed only in the TROLOX assay (de Carvalho Rodrigues. 2015). That's in contrast to the antioxidant activity in the ABTS˙+ or TROLOX test (Figure 2, right) where significant differences were observed for all teas. 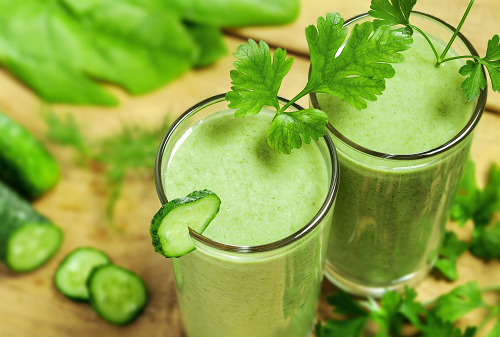 What is surprising, though is that these were not necessary in line with the total anti-oxidant activity which was increased in the cold extract of the Bodo tea, for example (it's anti-oxidant activity still was more than 50% lower). Hot or not? This cannot be answered conclusively based on the study at hand. 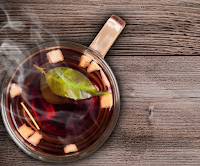 Not just because the DPPH+ and TROLOX values differed, but also in view of the fact that there was a disconnect between the phenol and flavenol content of the tea extracts and their anti-oxidant activity. Let's still look at the most popular teas: Green tea may be more potent if you avoid using hot water, the same goes for white tea. Black, Chamomille and Mate Tea, on the other hand, appear to benefit from the use of hot (80°C) water. There's yet one last thing I have to say before I ask you to "Comment on Facebook": Without a study of the immediate anti-oxidant effects in living beings (at least mice) we can never tell for sure if the above suggestions stand the test of future trials ;-) | Comment on Facebook!